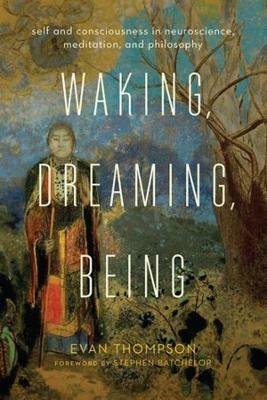 A renowned philosopher of the mind, also known for his groundbreaking work on Buddhism and cognitive science, Evan Thompson combines the latest neuroscience research on sleep, dreaming, and meditation with Indian and Western philosophy of mind, casting new light on the self and its relation to the brain. Thompson shows how the self is a changing process, not a static thing. When we are awake we identify with our body, but if we let our mind wander or daydream, we project a mentally imagined self into the remembered past or anticipated future. As we fall asleep, the impression of being a bounded self distinct from the world dissolves, but the self reappears in the dream state. If we have a lucid dream, we no longer identify only with the self within the dream. Our sense of self now includes our dreaming self, the "I" as dreamer. Finally, as we meditate-either in the waking state or in a lucid dream-we can observe whatever images or thoughts arise and how we tend to identify with them as "me." We can also experience sheer awareness itself, distinct from the changing contents that make up our image of the self. Contemplative traditions say that we can learn to let go of the self, so that when we die we can witness its dissolution with equanimity. Thompson weaves together neuroscience, philosophy, and personal narrative to depict these transformations, adding uncommon depth to life's profound questions. Contemplative experience comes to illuminate scientific findings, and scientific evidence enriches the vast knowledge acquired by contemplatives. Evan Thompson is professor of philosophy at the University of British Columbia in Vancouver and a fellow of the Royal Society of Canada. He is the author ofColour Vision: A Study in Cognitive Science and the Philosophy of Perception (1995) and Mind in Life: Biology, Phenomenology, and the Sciences of Mind (2007) and coauthor of The Embodied Mind: Cognitive Science and Human Experience (1991, revised edition, 2017).